Some pension holders have been taking advantage of a loophole that allows the creation of a second tax free lump sum from a pension. Within any pension, 25% of the pension can be taken tax free, and the remaining 75% will be taxable. However some canny pensioners have been taking a taxable lump sum out of one pension, and then reinvesting it back into another pension. This is because even though the money that is taken from the pension will be taxed, when it is reinvested back into a pension, the tax is reimbursed. This means that customers can start to generate a second tax free lump sum (*). This process known as income recycling, means that a client takes a sum of money from one pension pot, and puts exactly the same amount of money back into a new pension fund. They will then be entitled to take a further 25% of this new pension fund as tax free cash. The annual allowance, or the amount that can be contributed to a pension in any tax year and get tax relief, is currently £40,000. However the new Pension Freedoms introduced in April 2015 meant that people were given the flexibility to access their pension funds using flexible access drawdown. If you took any money out of a pension other than your tax free cash, then the annual allowance is reduced to £10,000 per year. Chancellor Philip Hammond announced last week that this annual allowance for people who have already taken taxable income from a pension, will be reduced from £10,000pa to £4,000. This reduction will impact on people’s ability to contribute worthwhile amounts into a pension if they’ve already taken advantage of the flexibility introduced in the Pension Freedoms. Surely the government should be encouraging people to continue to save into their pension, whilst giving them the flexibility of drawing money from the pension when they need to? Wasn’t that what Pension Freedoms was all about? However reinvesting just £4,000 of taxable income every year back into your pension fund, would mean that after 10 years you could take a further £10,000 tax free cash from your pension fund (**). So even though the Government are planning to tighten this loophole, there is still the ability to create a second tax free lump sum if you wish. If you would like to know about income recycling and creating a second tax free lump sum, then please get in touch. 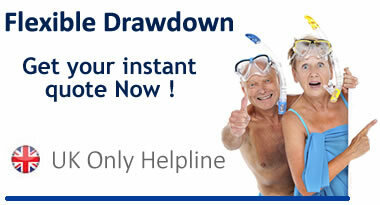 You can visit our website www.best-drawdown-pension.co.uk or call us on 020 33 55 4827. (*) This is a very simple explanation of a process some customers use. Please make sure you fully understand all of the issues before you decide to recycle income. (**) Investment performance could result in the actual amount you could take as tax free cash after 10 years being higher or lower than £10,000.